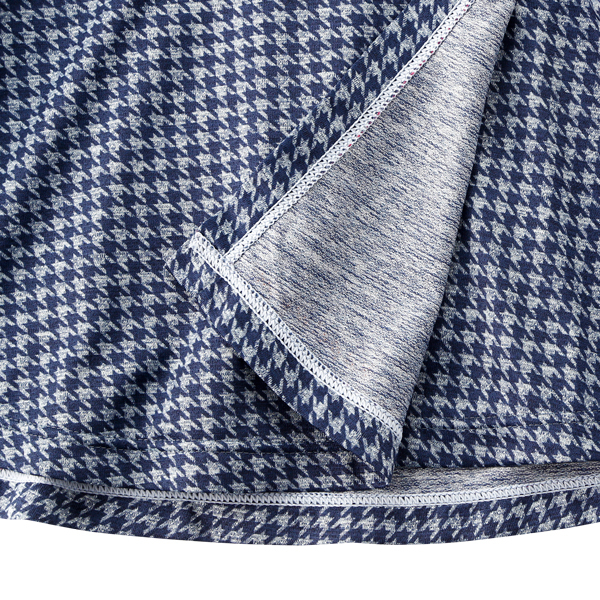 Sweat-absorbent and quick-dry fabric(Polyester=94%, Polyurethane=6%). 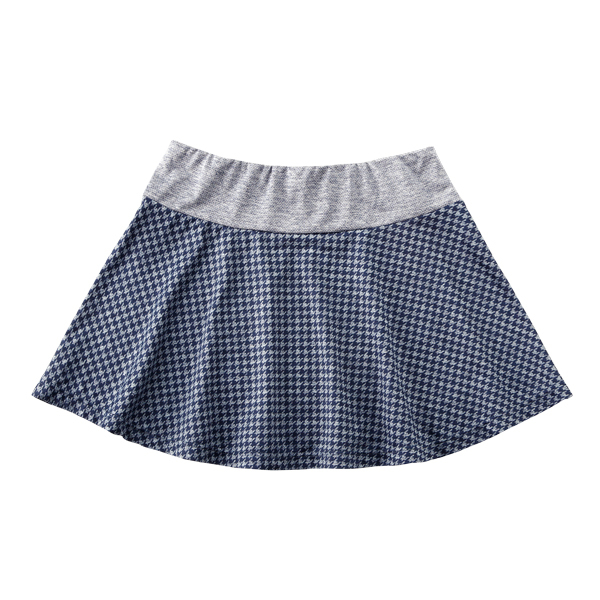 Stylish and chic design cycling flare skirt with flap. 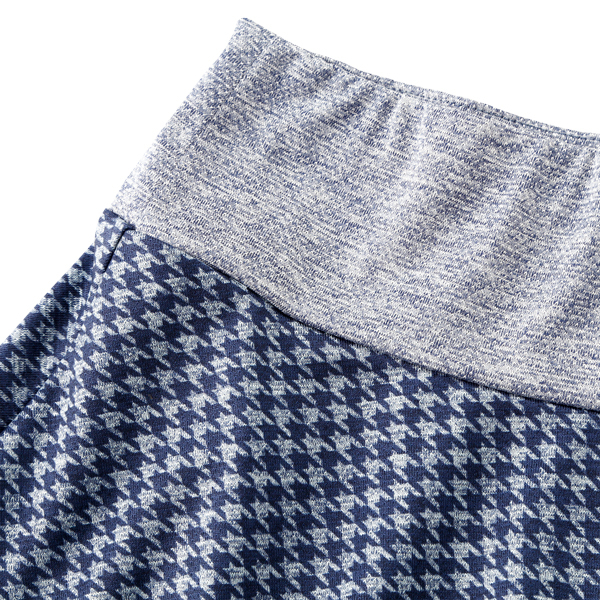 Chic and classic houndstooth pattern on the special knit fabric with two different types of yawn. 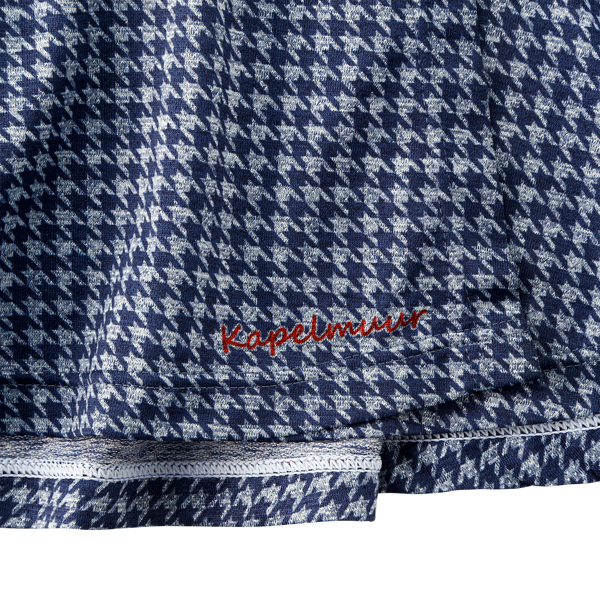 The flap is for preventing the skirt from sliding up while pedaling.